We did this interview with Mariana right before she left Gothenburg for her next international adventure in Norway. I guess she’s reading this post right now from her cozy new home and maybe thinking about the good old times when we practiced together in Gothenburg. I am always sad when students leave, but happy for them and for having had the chance just for a little while to share and learn from each other. Life is a mystery. Most of the time we don’t know why our paths crossed, but I personally feel there is always a hidden meaning behind. That’s why we should embrace the experience and enjoy each other’s company when we have the chance. I miss you in class my darling! Thank you for having shared all this with me! Read below Mariana’s story and yoga practice throughout the years. Lavinia (Unfold Your Mat): Tell me, when did you start practicing yoga? What do you remember of that day? What kind of yoga was it? What was the first thought at the end of that class? Any memories that come to your mind? When I was a child I used to be very curios about new things. I do not remember how many classes I attended, but I do remember I got bored after a while ( another typical thing in my childhood). So I stopped going there. Lavinia (Unfold Your Mat): What kind of yoga did you practice throughout these years? Mariana: At the age of 22 I moved to Europe. I was living in London at the time when I decided to join an Iyengar yoga class. I have great memories of that teacher. He encouraged me to continue practicing after I moved to Scotland, the place I have been living for 14 years. Scotland is where my yoga journey really started. During those years I continued to practice Iyengar until I discovered Ashtanga. At that time I did not know the real meaning of yoga or how yoga could make an impact on your life. It was a nice workout, very energetic, leaving a good feeling in my body after the class. A feeling of relaxation and calmness. My path in life continued and took me to Sweden, where I joined a health club that it was supposed to have great yoga classes. It wasn’t really the case for me. It was the typical yoga gym classes where the teacher is somewhere in front demonstrating postures and people try to follow whatever the teacher does. Lavinia (Unfold Your Mat): That’s so sweet! Thank you so much Mariana! It makes me very happy to hear my classes matched some of the searches of your heart. Nothing makes me happier than sharing with my students my love for yoga and see you grow and learn. So thank you so much for being here and giving me the chance to share! Tell me, if you could say in a few words, what does yoga mean for you? Mariana: Anyone who practices yoga on a regular basis will quickly come to realize that yoga is so much more than just a series of poses designed to make your body more flexible. Practicing yoga regularly has profound effects on your mind, body and soul, greatly benefiting total mental, physical and emotional well-being. What’s more, yoga can deeply impact the way you view the world around you—and your place within it. Lavinia (Unfold Your Mat): Your favorite yoga routine? Do you have such thing? Mariana: I prefer dynamic flows, in particular Ashtanga Vinyasa. I love the Primary Series sequence!! Lavinia (Unfold Your Mat): Your favorite pose/postures? Mariana: I think we all have favorite poses or better said, poses we can do more easily than others and that’s why we enjoy them more; I love the flow in Surya Namaskara A, the challenge of headstand, despite the fear of falling over that is always there. I fell I am getting stronger and more confident implementing it in my practice. Lavinia (Unfold Your Mat): The posture you dislike the most? Why? Mariana: Although I love to practice yoga and especially the Ashtanga series, I have to admit that I really hate some positions from the Primary Series like Purvottanasana or Utkatasana haha I don’t know why. I just know that it feels very uncomfortable!! Lavinia (Unfold Your Mat): What makes you to keep practicing? Do you ever get bored of yoga? If yes, what motivates you to come back to the mat? Mariana: I have times throughout the year when I decide to step off the mat for a while. I really like to give my body a rest. It feels good to have a break and I somehow feel that I need that. However I always come back to yoga. It is such a wonderful practice for my body and mind! I love to practice! And can’t imagine not having yoga in my life. Lavinia (Unfold Your Mat): Why Unfold Your Mat? Mariana: You are the first teacher that really made me to go deeper into the practice. You taught me in such a way to understand the real meaning of yoga and the many benefits it can have for your body. I learned how to connect the practice on the mat with the every day life. Now I try my best to apply these things every day. It is a huge thing, I believe. Lavinia (Unfold Your Mat):Any message for our readers? Mariana: If you are not practicing yoga or you are thinking about starting this journey and haven’t dared to do it yet, I hope this article will encourage and motivate you to do so. Give it a try! Experience for yourself! Because you can’t touch your toes it doesn’t means you can’t do yoga, yoga is much more than being flexible, it is a group of physical, mental and spiritual practices or disciplines. Lavinia (Unfold Your Mat): Anything else you’d like to share with us? Thank you so much Mariana for your time, presence and trust in me guiding your yoga journey! It means a lot to me. I’m going to miss seeing you every week in class. But I wish you all the best now on your next international adventure in Norway. Hope you are going to use the knowledge accumulated during this time and take your practice to the next level and grow even further 🙂 I’m so proud of you, my darling! And happy our paths crossed! 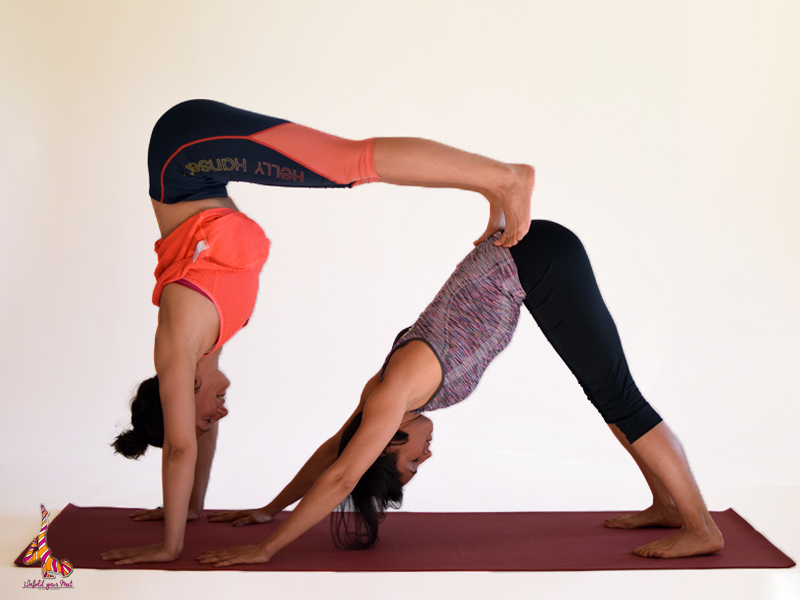 For more interviews with our students check our conversations with Leila and Rocio sharing about their experiences of practicing yoga in pregnancy and the many benefits yoga has on their life. If you enjoyed this article, feel free to share it with your friends who could also benefit from it. Follow our updates on Facebook, Instagram and via this website. For any suggestions about things you’d like to see on this website, don’t hesitate to send us feedback and suggestions. Join us on December 9th, 4-5 PM for “Yoga nidra” workshop in Gothenburg. More about this event here. very nice article. thank you for this.